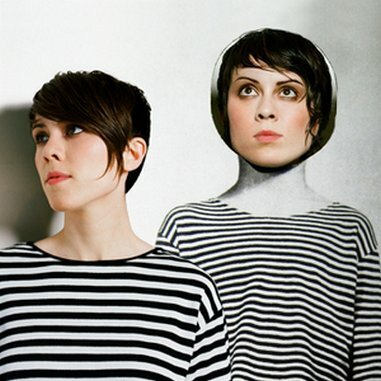 “I miss the days when Tegan & Sara were little Ani DiFrancos in training,” said a poster on Prefix’s website. That person is going to hate Sainthood, which is too bad—some of their best work is here. The Quin twins are now pushing 30, and they’re no longer flirting with mainstream pop sounds; they’re reveling in them. Their sixth studio album seamlessly entwines the exuberance of Cyndi Lauper with compressed pop-punk chords, synthy new-wave and Euro-techno. The arrangements are consistently dynamic and clear, but Tegan & Sara’s wordy vocals steal the show—they split the difference between the stylized register-hopping of club divas and the winningly obvious earworms of Avril Lavigne. And some of their sharpest lyrics are here, exploring the self-aware heartaches of adulthood. “I know you feel it too/ These words get overused,” they belt passionately over the ringing chords of lead single “Hell.” That’s the hell of being heartbroken at 30, as opposed to, say, 20—you can’t even convince yourself it’s a big deal.